The old coupon codes expired but we managed to dig up new ones valid for around 3000 units. See the updates below. Qualcomm has just announced its Quick Charge 3.0 technology, but it will take a while to make its way into new phones and accessories. However, we're starting to see the commoditization of Quick Charge 2.0 accessories, like these 2 Tronsmart chargers for example that are getting their prices slashed in about half. First is the dual-port car charger where both ports are QC2.0 certified, which should let you charge two devices simultaneously and as fast as possible. Sweet! It also comes with two USB to MicroUSB 20AWG cables that are compatible with the QC 2.0 ports, so you don't have to worry about finding good cables to make the most of the fast charging functionality. It usually goes for $19.99, but with the promotional code VYWBJYI5 IBH6KAP5, you can knock $9 off to get the price down to $10.99. Second is the three-port car charger with one QC2.0 certified port (12V/1,5A) and two 5V/2.4A ports, for a total output of 42W. It only comes with one USB to MicroUSB 20AWG cable for the QC2.0 port, so you'll have to supply your own cables for the other ports. 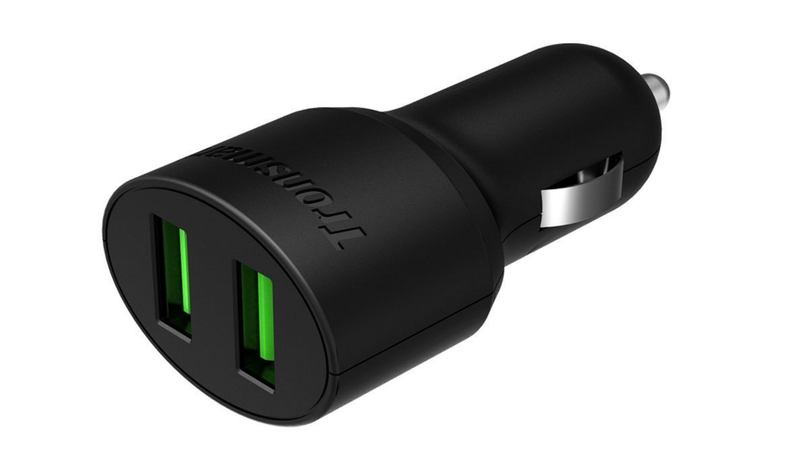 However, it might be super handy if you're on a road trip and several devices need to be charged at the same time. Its regular price is $17.99, but with the code 3DM7J6M6 BEFNQRPQ, you'll knock this down $9 to $8.99. Given that QC3.0 devices should still be backward compatible with QC2.0 accessories, these two chargers aren't a bad investment, even if you plan on switching your phone to a new model next year.